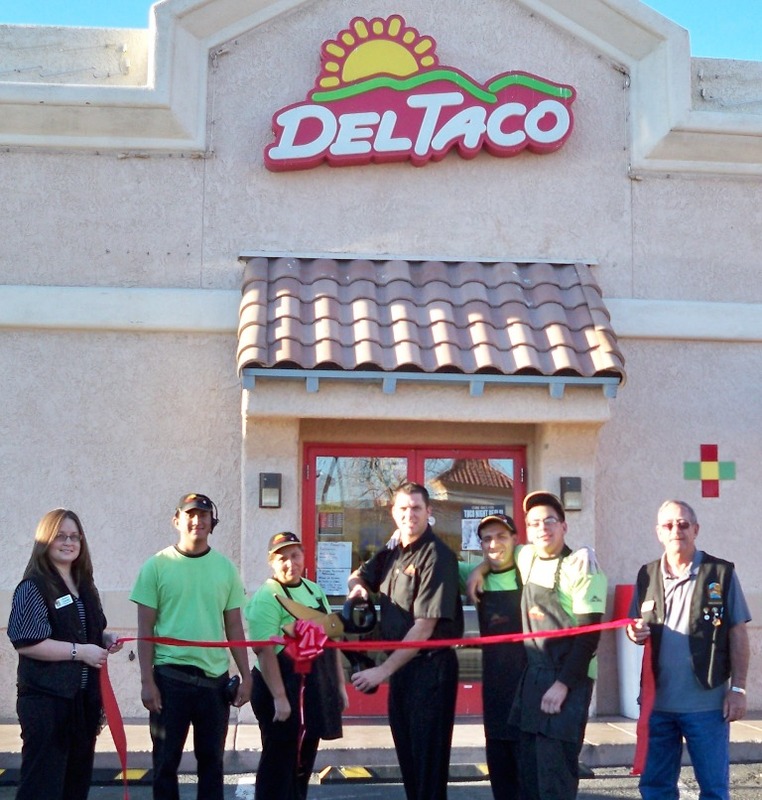 The Lake Havasu Area Chamber of Commerce Ambassadors held a ribbon cutting for Del Taco’s 10th year anniversary as a Chamber member. Del Taco strives to provide outstanding customer service and quality Mexican food, and some of the best tasting burger around. Their lifelong standard as one of the friendliest and fastest quick service restaurants in Lake Havasu City makes dining a great experience for the whole family. 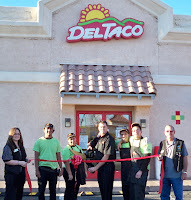 On hand for the ribbon cutting are as follows; Chamber Ambassador Heather Franklin, Rosalio Chavarin, Julio Carrilo, Del Taco General Manager Chuck Fitch, Ricardo Morales, Daniel Martinez and Chamber Ambassador Paul Hoyt. For more information contact (928) 854-4748 or visit them at 81-102 London Bridge Road.